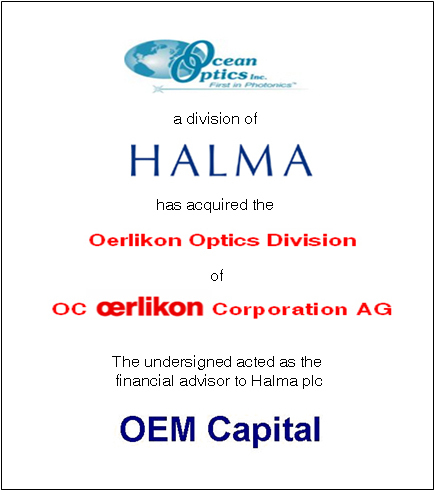 OEM Capital assisted Halma PLC in its acquisition of Oerlikon Optics. 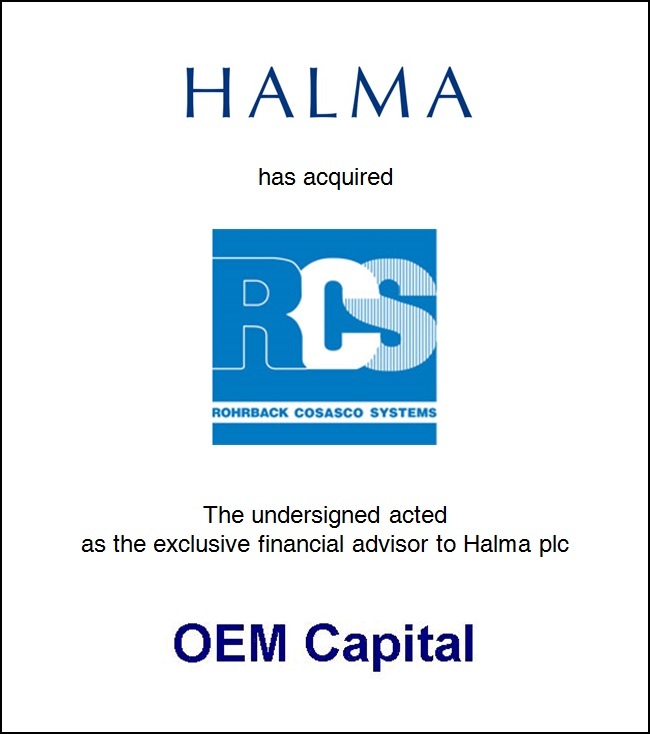 This is the third acquisition in the optical and photonics industries that we have helped Halma complete. 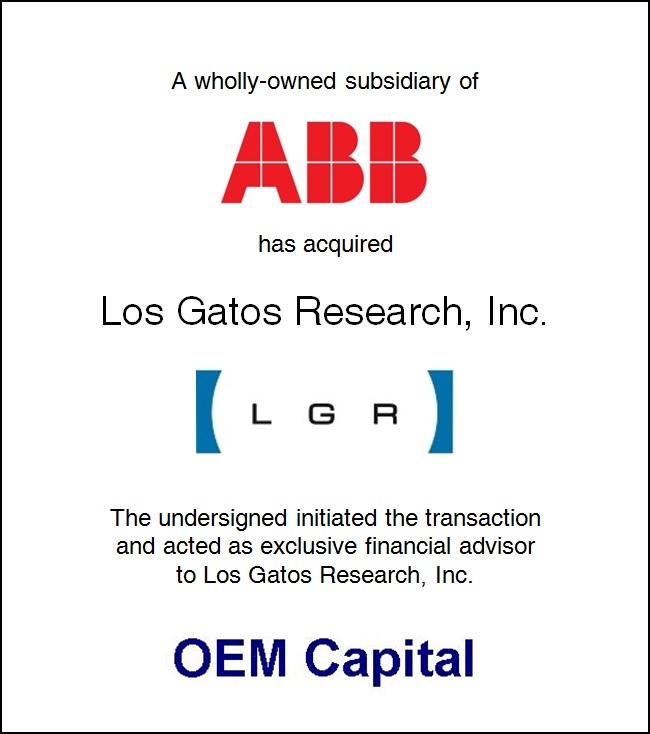 Previously, we assisted in its acquisitions of Ocean Optics and Labsphere. 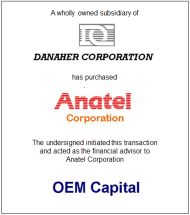 As a result of our involvement, Halma was able to conclude transactions where there is strong synergy with existing operations and where acquisitions are expected to be accretive to earnings. 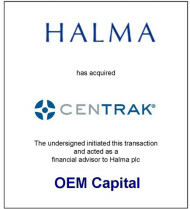 Our success with Halma illustrates that superior results can be realized by a well-executed approach by merger and acquisition professionals who are knowledgeable about the industry and the goals of both industry buyers and sellers, with expertise in successfully completing cross-border transactions. 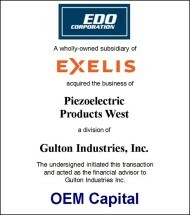 Oerlikon Optics, located in Golden, Colorado is a supplier of optical components and subassemblies. 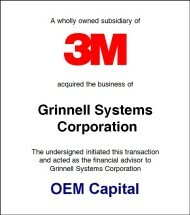 Its ultimate parent company, OC Oerlikon Corporation AG, is a Swiss public company which develops and supplies production systems, components, and services for information technology and industrial markets worldwide, with annual revenues in excess of US$5.3 billion. 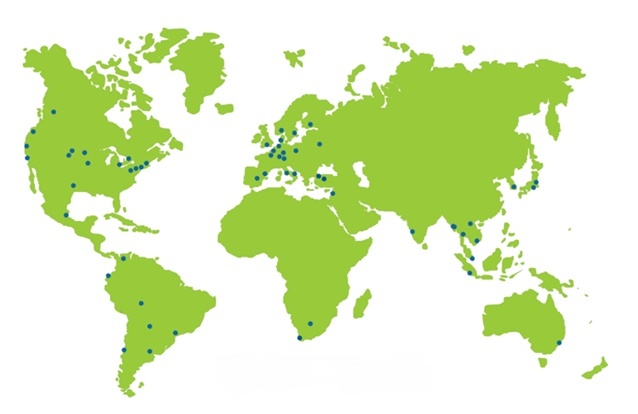 Labsphere is based in North Sutton, New Hampshire and is a world leader in the design and manufacture of innovative light testing and measurement products and specialized optical coatings. Ocean Optics, Inc. is headquartered in Dunedin, Florida and engages in the design, manufacture, and supply of optical sensing and spectroscopy products. It is a wholly owned subsidiary of Halma plc, a London Stock Exchange listed company, with annual revenues of over US$650 million. 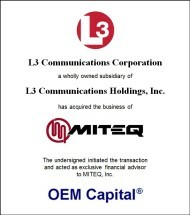 OEM Capital (www.oemcapital.com) is a FINRA registered technology investment banking firm. The firm provides corporate financial advisory services to public and private companies, including strategic advisory, mergers and acquisitions, private placements of debt and equity, PIPEs, recapitalizations and restructurings, and fairness opinions.